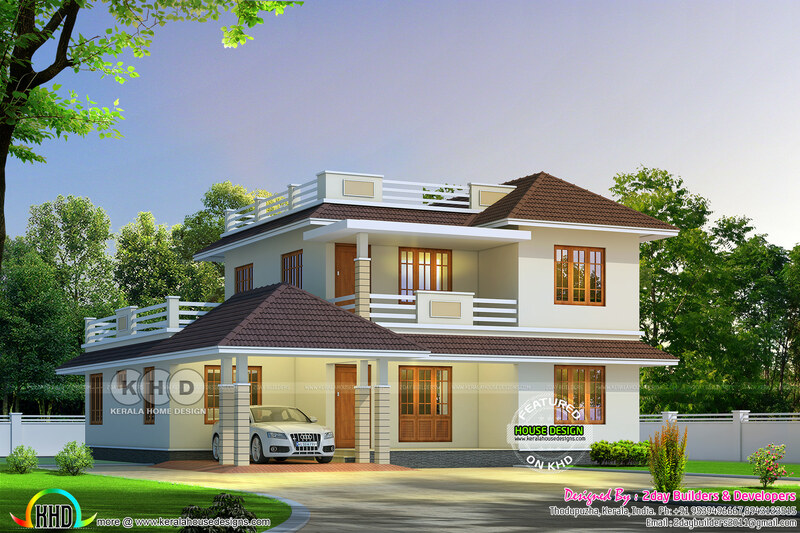 Total area of this house is 2680 Square Feet (249 Square Meter) (298 Square Yards) 4 bedroom cute home plan. Design provided by 2 day Builders & Developers, from Thodupuzha, Kerala. 0 comments on "Cute sloping roof house 2680 square feet"